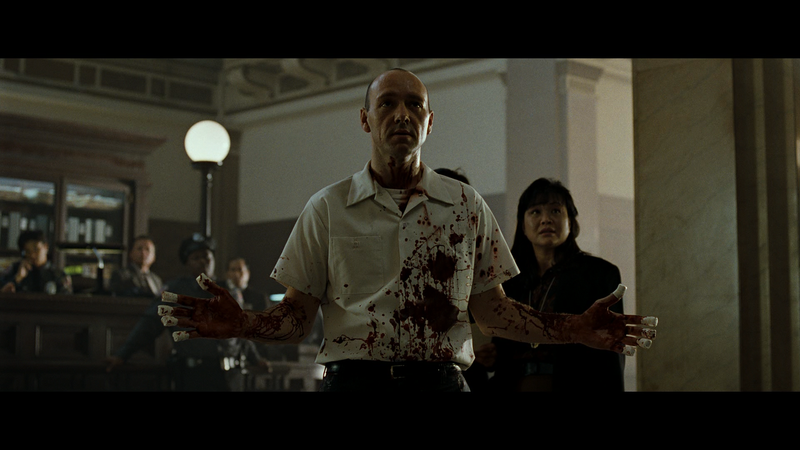 For a very long time, I have been wanting to write a post about the masterpiece that is American Beauty. Alas, this post is still not that. But, I did want to share with you all my latest work that I have done as a part of my university course. It is an adaptation of the closing monologue, originally portrayed by my hero, Kevin Spacey, where the character of Lester Burnham looks back on his life. The brief of this project was to adapt a poem or a part of a movie, in order to test you post-production skills. I was really eager to start this term as the first two terms of my course were pretty gruelling. I study Digital Film Production at Ravensbourne, which I realise now is actually a very good place to go, and very respected in the industry, which is lucky I guess. At first, I didn’t realise how important it was that I got into this particular uni, but as time passes by, I realise just how many inspirational people I come face to face with every day. One of my main tutors was actually nominated for a BAFTA this year, for the short film category, which is absolutely incredible. Like I said, I am incredibly lucky. This project has been particularly important to me, for the fact that the film is just so inspirational to me. American Beauty truly is a masterpiece, and is so deep on so many levels, and deepened my love for Kevin Spacey further. It seemed only natural for me to adapt this, as I would be able to pour my heart into it. If you watch, it is perhaps obvious that I am no Guru at After Effects, or even Premiere, but it is an incredible step up from my previous word, and I am extremely proud of myself and the work that I have put into it. I think another reason that this video is so important to me is that in itself, it features a huge amount of my life in it. Like I said, the closing monologue in American Beauty is that of a man who is reflecting on is life as he slips away, and so to create this, I had to dig into the archives of my hard-drives and fish out some old footage of mine that I have taken the past years. Though I wasn’t able to put any cringe-y baby videos of myself in, I was able to create the illusion that these videos were from an entire life-time. Everyone that you see in this video is either a great friend or a relative. The characters of Janie and Carolyn are in fact my sister and mother, who are the light of my life. All of this, plus the incident portrayed in the video and in American Beauty and the soundtrack, oh my god, all successfully work together to create quite a powerful little video – at least to myself and my family. And can we take a moment just to appreciate the hell out of this soundtrack? It is absolutely beautiful, the whole thing is. But especially this classic song. It is so beautiful, and power, and awesome, in the literal sense, that I am almost moved to tears every time I had to listen to it all the way through for the edit. If you have never taken the time to sit and listen to the soundtrack properly, then I strongly suggest that you do. It’s an incredibly famous soundtrack that I’m sure that everyone would be able to recognise at least one score from it. Try Mental Boy or Arose, both by Thomas Newman. Absolute masterpieces. So yes. I would love to hear feedback all who see this, and I hope that you enjoy the adaptation. 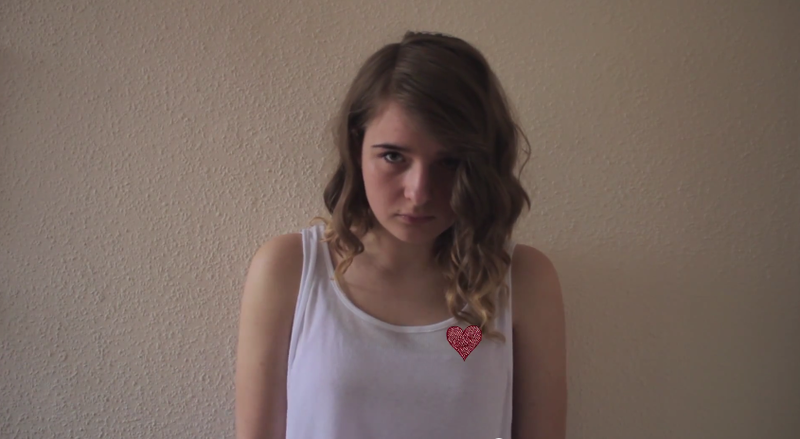 And go watch American Beauty if you haven’t already – I’m sure that you won’t regret it! Okay, so this isn’t going to be a review or in the moment. Every once in a while ill just do a random article talking about my favourite actors, my favourite directors, top 5 of things, general things like that. If you know me well enough, you will probably know that I have a somewhat unhealthy obsession with actor, Kevin Spacey. Over the years, this has miffed many a friend of mine, apart from one who shares a mutual love for him, and I always seem to fail to explain. So, today, I will attempt to conquer the topic; Why do I love Kevin Spacey? himself into the police with the blood of his latest victims strewn all over his body is, without a doubt, 100% unhinged. Now, onto what is possibly my favourite film: American Beauty. If you haven’t seen this movie, then, please do! After studying it in school, I realised the depth of which this film explores its themes, and its both tragic and heart-warming outcome had a very profound effect on me. I will be doing a review on the movie in the near future, so I shan’t go on about it too much. Spacey in this film manages to perfect a middle aged man going through his mid-life crisis perfectly, both by showing how many damns he does not give mixed with the school-boy confusion of his feelings for his forbidden love. It’s both a hilarious and painful journey. I ended up getting so attached to his character, I felt personally effected by the outcome of the story, which is just plain ridiculous. The next film I’m going to talk about is a film which isn’t very well known but was written by, directed by and also starred Kevin Spacey called Beyond The Sea, which is about singer/song-writer Bobby Darin (Beyond the Sea, Mack the Knife, Dream Lover) “Beyond the Sea is not a linear story at all. It’s not what people will expect and it’s not a biopic. It’s my statement.” Although Spacey is first and foremost known as an actor in films and television in the mainstream world, his personal passion is acting in theatre. He is the Artistic Director of The Old Vic Theatre in London, which I’ve been to twice now, and have still not seen him there WHICH MAKES ME SO SAD. Moving on, Beyond the Sea is very different from the cold hearted, villainous characters that we have seen him play before. 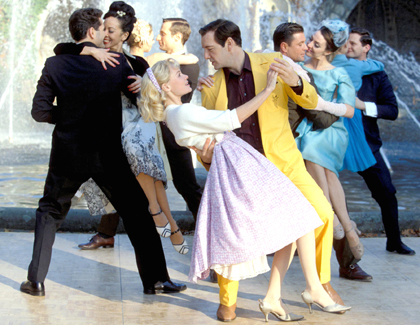 There’s at least three times where he breaks out into a Broadway style song and dance that moves the story along yet is done in such away, it shows his passion for the excellent music of Bobby Darin. This films goes to show how versatile he is as an all round performer. Like I said, not only does he star as Bobby in the film, he directs it, which is a concept that always leaves me confused as to how people can take on that much work. Either way, Kevin smashes both roles in the production, leaving Beyond the Sea to be one of the most original biopic like films I’ve seen. His delivery of The Curtain Falls is so beautiful, and is a song that I listen to very often. The point at which it comes in the movie is a real tear jerker, and YES, this IS Kevin Spacey’s singing voice! : http://www.youtube.com/watch?v=GTJZHxdviKA So soothing, and heart felt. I love it. He somehow managed to get Bobby Darin’s manager to give him the original scores of all of his songs, so that they could specifically re-record them exactly how he wanted them, just so that he felt he honoured his memory. Now, if that’s not dedication, then I don’t know what is. If I haven’t already stressed enough how versatile he is as an actor, then have you seen the video of him doing impressions of famous personalities? It’s awesome! https://www.youtube.com/watch?v=bKKDKAKNH-k The fact that he can switch so quickly from one person to another, not just with his voice, but with his physicality is so hilarious and impressive! He’s also appeared on David Letterman’s show doing an impression of Al Pacino WITH Al Pacino next to him just after he’s said that he doesn’t find it too funny, and ends up with him laughing his head off along with the audience. Good ol’ Kevin. Building bridges wherever he goes. I’ve tried somehow to express how much I love Kevin Spacey purely through the versatility of his roles and the roles he has played, but that doesn’t really put into perspective how much respect I have for him. I would love it if people recognised his talent more often, because I feel that people know who he is to look at but find him, in general, forgettable. 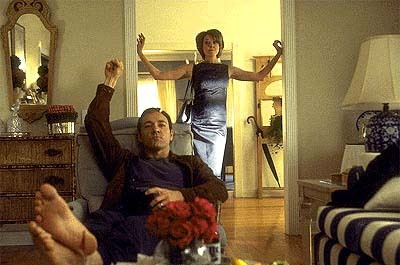 I used to be like that with him too, but I think American Beauty is possibly the one film that started the Kevin Spacey adoration ball rolling. He is definitely a personal hero of mine, and the fact that he strives to keep theatre alive with the Kevin Spacey Foundation (http://kevinspaceyfoundation.com/) I think is most admorable. So that’s is really. 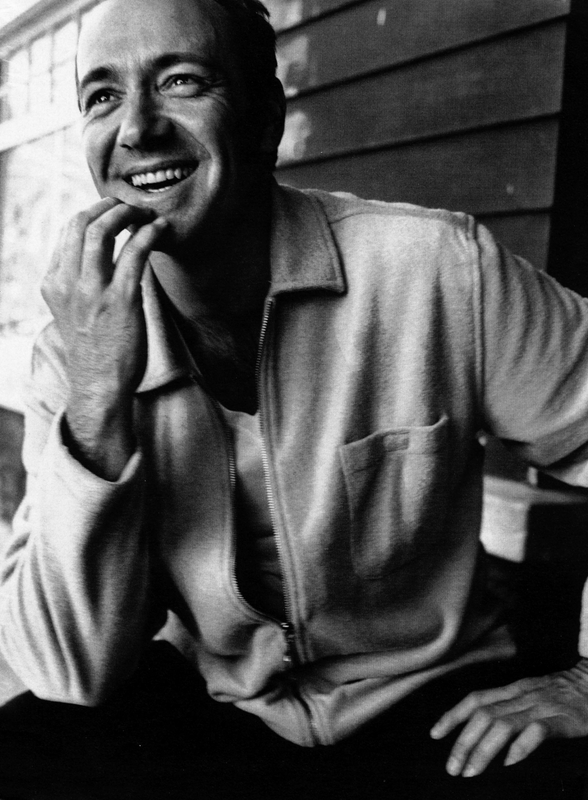 The lovely, adorable, charming Kevin Spacey. In a rather large nutshell; that is why I love Kevin Spacey.